The Appellate Division of the Supreme Court on Monday stayed till March 31 the High Court order that had granted bail to former Awami League MP from Tangail-3 (Ghatail) Amanur Rahman Khan Rana in a case filed over the killing of freedom fighter and AL leader Faruk Ahmed. Chamber Judge of the Appellate Division, Justice Hasan Foyez Siddique passed the order following a petition. It also fixed March 31 for hearing on the petition in the full-bench of the Appellate Division. Advocate Sayed Ahmed Raza stood for Rana while Attorney General MahbubeyAlam represented the state. 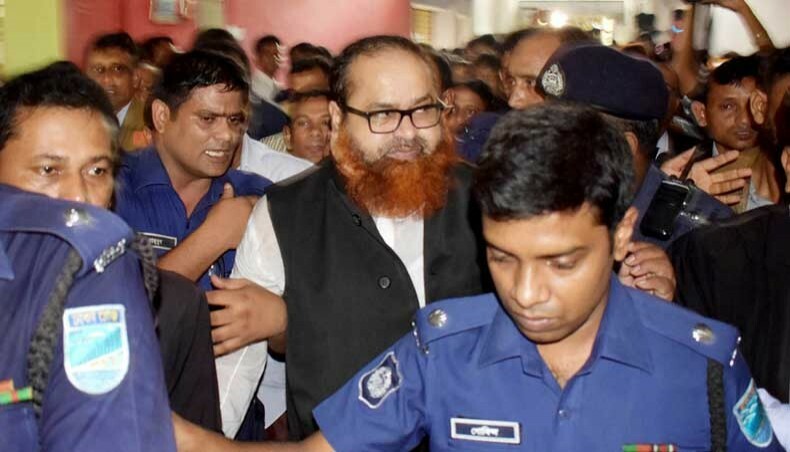 On March 14, the High Court bench of Justice A K M Asaduzzaman and Justice S M MoziburRahman granted bail to former Awami League MP from Tangail-3 (Ghatail) AmanurRahman Khan Rana in the case. Rana surrendered to the Tangail additional district and session’s judge court on September 18, 2016 ending his 22-month fugitive run in the freedom fighter murder case. The AL leader went into ‘hiding’ after he was accused of killing freedom fighter and member of district unit AL Faruk Ahmed. On January 18, 2013, the Awami League leader was shot dead in front of his residence in the district town. Later, Faruk’s wife Nahar Ahmed filed a case in this connection. Fourteen people, including four brothers of Tangail’s influential Khan family, were made accused in the murder case.